I have a question on the dual bi-xenon setup but with a twist. My car has single lights, both high and low in the same bulb. I have installed hid bi-xenon projectors which are working just fine. I also have fog lights for which iam thinking of installing bi-xenon projectors. 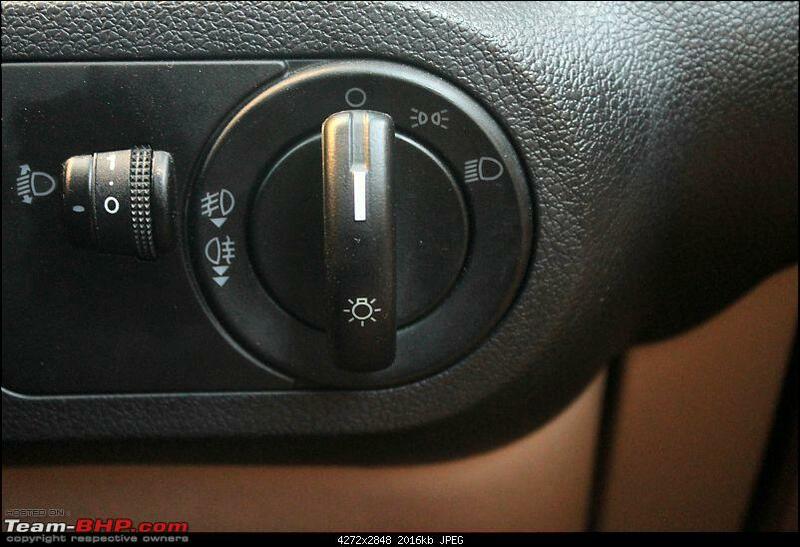 Fog light uses different switch. The circuit i have is, 2 separate relay harnesses one for headlights and one for fogs. Headlights are easy, just use the h4 socket to relay and high/low works. I want the fog to turn on only when i turn on the fog switch, so + and - will come from the stock fog wires to relay and the high will come from the headlight switch(split only the high signal into 2). 2. With the above setup, when all the lights are off and when i flash the headlights will turn on but will the fog lights turn on as well ? High Stalk Off Off On On Since the high is connected to stalks, not sure if it would work, iam ok either way. Looks like you want your OE fog light switch to decide whether the primary (i.e. one mounted in the headlight housing) or secondary (i.e. one mounted in the foglight housing) biXenons respond to the OE low/high beam switch. Yes? Mine is a Ford, so the light switch is on the right (RHD) Turning the knob clockwise, step 1 Parking, step 2 headlights. For the fog (calling it Step3), i need to turn on step 1 then pull the switch out. So when i turn on the fog it should only turn on the low beam of the fog alone. But i want the high to be controlled using the headlight stalks on the steering. I already have bixenons on the headlight (35w 4300k h1), I want to install a similar setup in fog. The only difference is, headlight power will be controlled via Step2 and fog light power controlled via Step3. Step2 and step3 can be performed independently. I can make the wiring for high beam on fog work by taking an extra lead from the h4 high beam signal, what i cannot predict is, with headlight off, would the high beam work on the fog when the headlights are off. I'm not familiar with this style of OE switch. With OE bulbs on the (dual filament) headlight beam and (single filament) fog beam, what happens when you turn to Step 1, pull the switch out, and turn (i.e. what you described as Step 3)? Does the low beam filament of the headlight bulb remain on at the same time as the fog light? Also, what happens if you pull the OE high beam (I'm assuming there's a separate switch for that) while you are in Step 3? Aside from the high beam filament of the headlight bulb turning on, I assume the fog light turns off? Just replacing the word Step to Switch, since the using the word steps is confusing. Switch 2 and Switch 3 requires Switch 1 to be performed. However Switch 2 and Switch 3 can be performed independently. For Only OE Headlights - Switch 1 and Switch 2. The OE high and low beams are controlled via the steering mounted stalk. My question is, will it be possible to use OE seeting mounted stalk for bi-xenon high and low when Switch 2 is not active. If I understand your description correctly, I'm afraid the answer will be no. Easiest solution is to add another switch (with 3 positions: A - off - B) and make a 3-way adjustable quad wiring. First, buy 2 separate sets of biXenon harnesses. The input signal of 1 of the 2 can use the passenger side OE connectors, and the input signal of the 2nd can use the driver's side OE connectors. At this point, your 2 pairs of biXenon will function simultaneously (i.e. full-time quad). Then, add 2 relays, some wiring and the A-off-B switch and modify the 2 biXenon wiring harnesses. I have a link in my signature for details. Finally got all the equipment for the fog bixenon lights. I am setting up controls in a certain fashion. Please help validate. My only question will be, with this setup, when the fog lights are off and i flash the headlights, will the fogs turn on ? Just bumping the thread. Are there any issues with connecting the way in the picture ?